Antonio Villaraigosa is the only gubernatorial candidate to demonstrate leadership to the underrepresented people in California. I had the honor and privilege of serving with Antonio during his speakership in the California State Assembly from 1999 through 2000. During those two years, Asian Americans represented nearly 10% of the California population, but less than 2% of the state legislators. 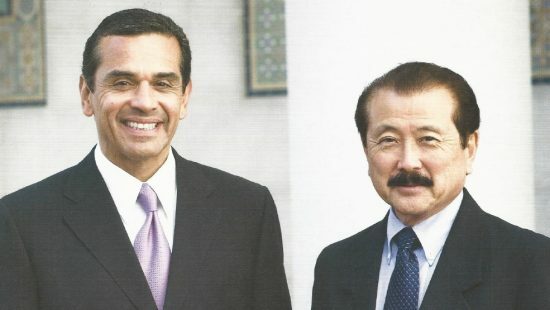 As governor of California, Antonio Villaraigosa will reach out to all the people of California. He has the courage and the insight to successfully meet all the challenges that will face us. George Nakano was a member of the California State Assembly (1998-2004), Torrance City Council (1984-1998), U.S. Air Force Reserves (1960-1962) and California Air National Guard (1954-1960). Opinions expressed are not necessarily those of The Rafu Shimpo.